Safety concerns and choking prevention. Cost is CHF 25 each. Looking forward to seeing you all there! Abstract: There often exists a celebratory atmosphere when a parent-in-need obtains donor milk and is able to feed their baby a diet of exclusively human milk. As a result, many forms of support drastically reduce or cease altogether; The baby is growing healthily, and the perception is often that the mother has achieved her goal of ensuring her baby has the best nutrition possible. For the vast majority of these women, however, wanting to breastfeed is not about the milk, but about the relationship and the act itself. It is about maternal and feminine identity. My support group is finally back on this Friday, woot! It’s now in my living room to enable it to be donation-only. Pay what you can, if you can. My goal is to rid any barriers that may be there for women to be able to access support. Come to my couch in Wädenswil for reliable, evidence-based knowledge, surrounded by empathetic support and other like-minded mothers. 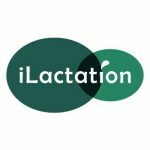 This is a time to discuss personal problems or struggles with a group, under the guidance of a lactation consultant IBCLC (me! ), to celebrate your achievements, to cry in frustration, to gain support and, of course, to enjoy coffee, tea and simple snacks — vital! I have many toys and books to keep your little ones occupied, so feel free to come along with any/all of them! Message me for the exact address, if you haven’t been before — we are close to the train station and very accessible. New meet-up location! Come to my home in Wädenswil and be empowered with reliable knowledge and empathetic support, surrounded by other like-minded mothers. This is a time to discuss personal problems or struggles with a group, under the guidance of a lactation consultant IBCLC (me! ), to celebrate your achievements, to gain support and, of course, to enjoy coffee, tea and snacks — vital! 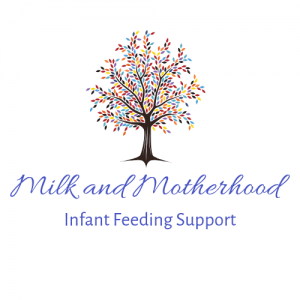 This week we will spend the first part of the session looking at everything to do with your nutrition as a breastfeeding mama. …And anything else you’d like to talk about! At these meet-ups, my aim is to empower you with reliable knowledge and empathetic support, with a new topic each week, time to discuss personal problems one-on-one with a lactation consultant IBCLC (me 😉 ), a space to meet like-minded mothers and to build a community. Oh, and of course coffee, tea and snacks are provided — vital! This week we will spend a little bit of time looking at pumping (and not pumping!) — why you would, why you wouldn’t, common problems, different non-pumping alternatives, pain when pumping, and any other questions you may have! We will then go on to discuss more broadly, any issues you’re currently dealing with. You have imagined the birth of your beautiful baby, but have you imagined the first time they breastfeed? Or the third time? Or what it will be like after one week, one month or one year? Come and join two experts in the field of breastfeeding and perinatal psychology and learn about the art and science of breastfeeding. Mums-to-be and their partners (who play a vital role in their success!) are invited to a very different kind of breastfeeding preparation course. We can’t wait to see you all there!